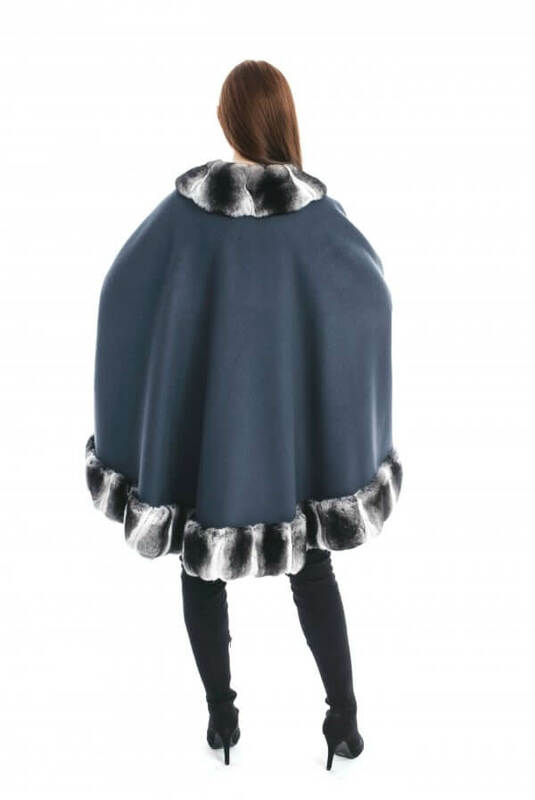 Originally, a poncho is made of a woolen fabric and is an outer garment designed to keep the body warm. 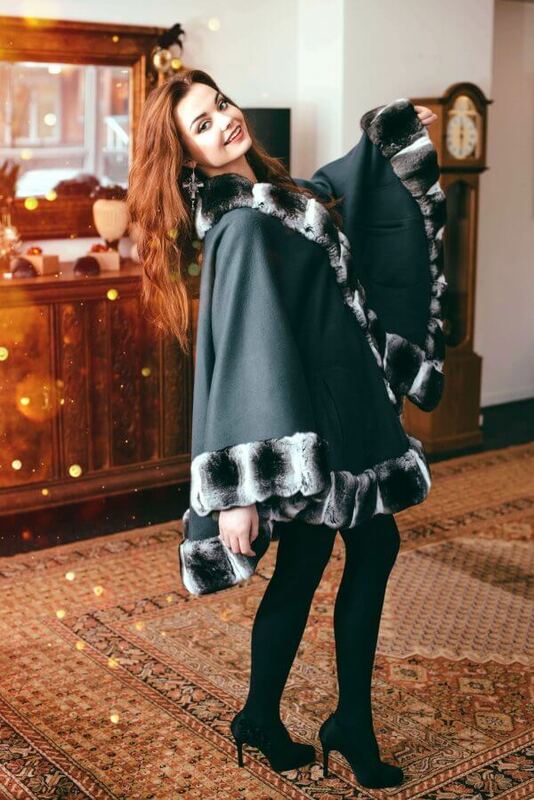 We created the poncho not only to keep you warm, but also to feel stylish and comfortable. 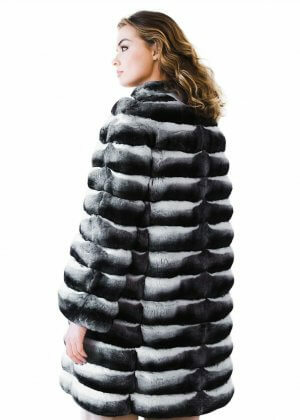 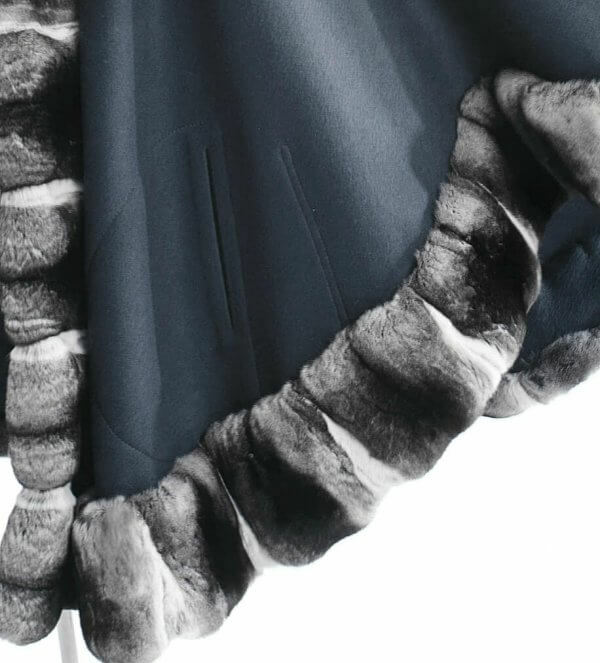 Top quality natural chinchilla fur adds an extra class to the final look. 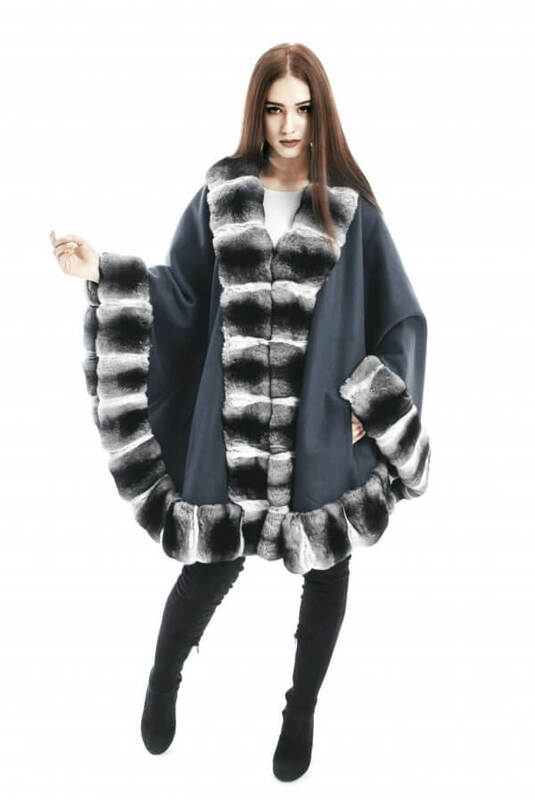 You may undo the secret sleeves and turn your poncho into a cape. 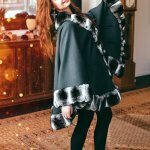 Always for multi ways of wearing our designed clothing.